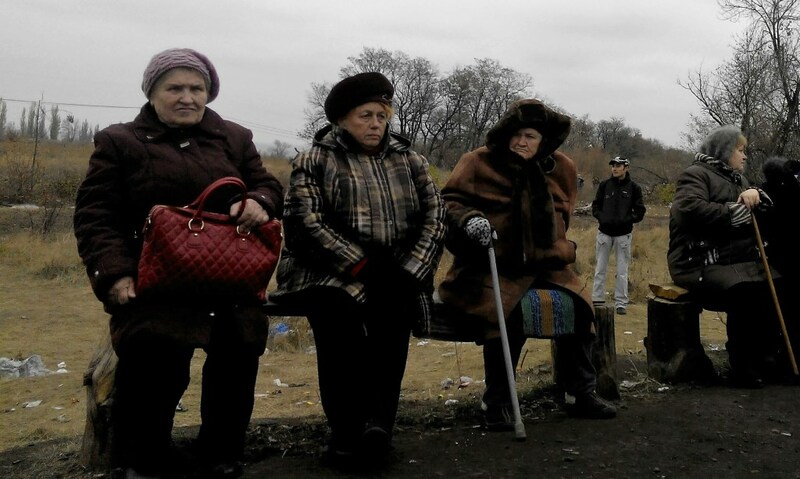 Thousands of people cross the demarcation line and go through checkpoints every day, they have to wait for passport control for hours. 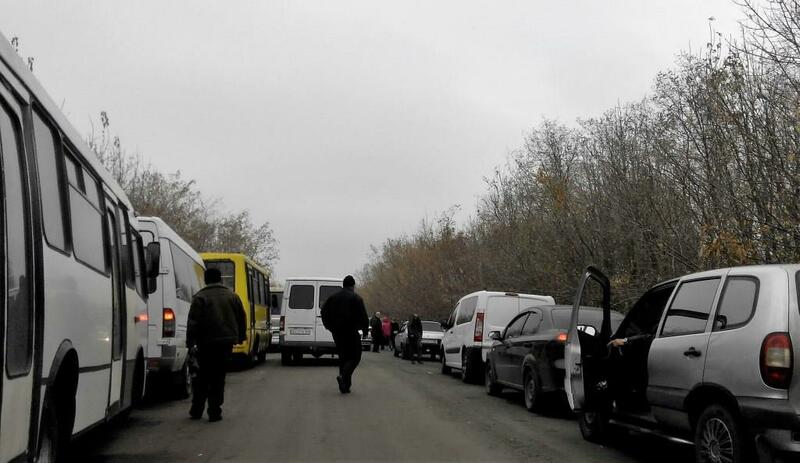 Our editors office decided to send a corrspondent to go though a checkpoint to get from the occupied territory to Ukraine. 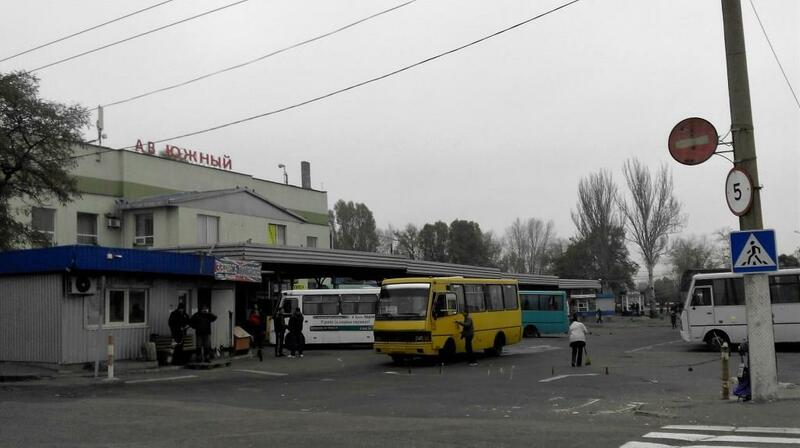 It is possible to buy a ticket for a direct bus going to Artemivsk or even hire a car, to go though checkpoints or to surpass them (the price of this trip is 450-700 UAH), but we decided to use the most popular variant. 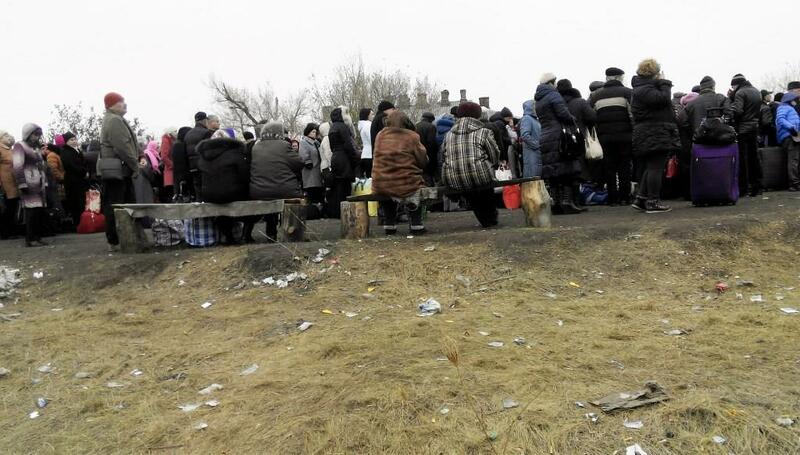 Buying tickets for Donetsk-Mayorsk (the village where the checkpoint is) in advance is impossible. The tickets are sold by local carriers at a price 200 rubles or 100 UAH. The buses circulate from 6 a.m. to 11 a.m., if you go later, you will not have enough time to go through chechpoints. 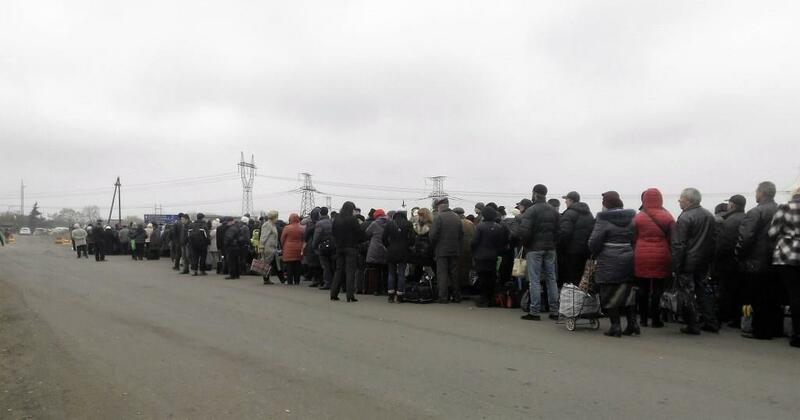 Militants at “DPR” checkpoints hardly have any “passport control”. 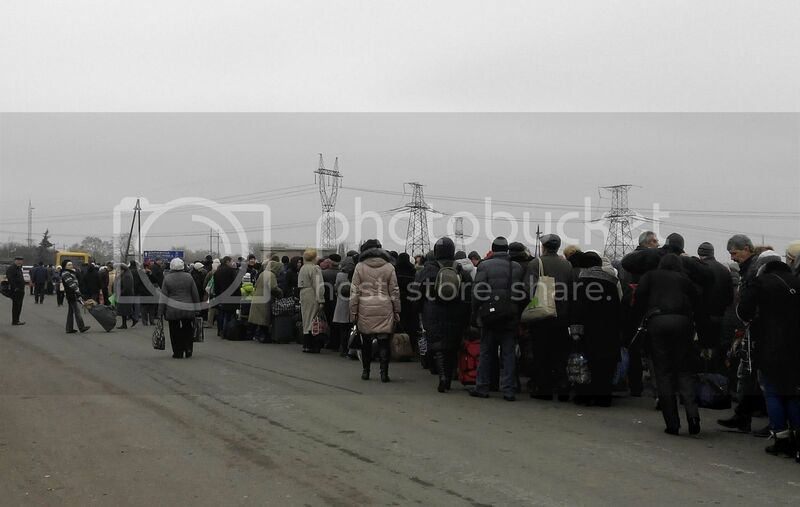 When the bus arrives in Mayorsk we join the general queue, there are 500-600 people before us and about 40-50 behind us, buses keep coming. 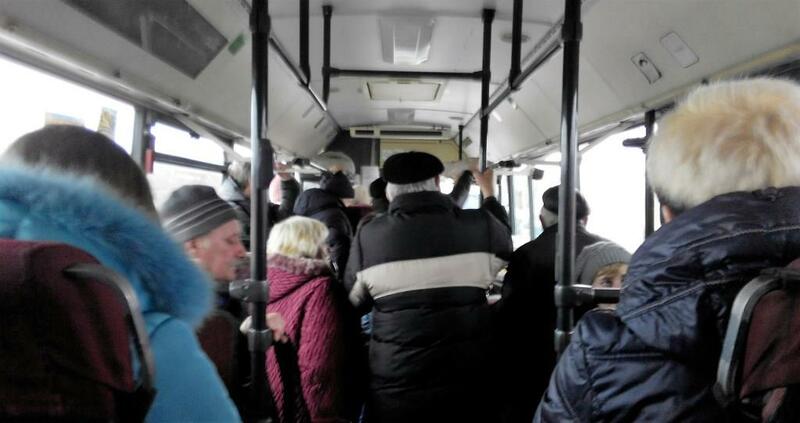 The queue is not for the checkpoint, it is for a bus which takes passengers to it (Mayorsk, the first Ukrainian checkpoint), then to Zaitseve (second checkpoint) and then to Artemivsk. 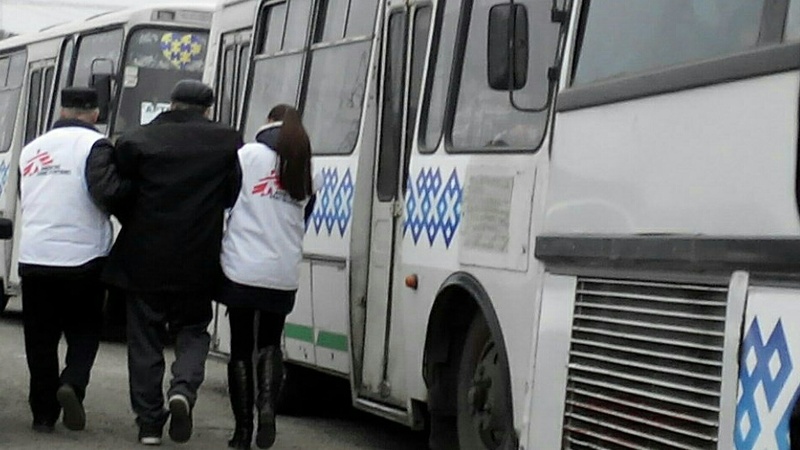 When we finally get to Zaitseve, second Ukrainian checkpoint, we have to stay in the bus as the previous buses have not been checked yet. It is so stuffy inside that a senior man faints and doctors immediately hurry to help him. When I get to the border guard officer, he just takes my passport and gives it back in two minutes. Is that all??? Is this “passport control” really worth waiting for hours in the wind and drizzling rain, fainting, going to the toilet into the mined wood line? What are thry tryng to check in this way? The material is published within the framework of “Donbas: Full Access” project which is realized with the help of a Joint Programme between the European Commission and and the Council of Europe for Ukraine “Strengthening information society in Ukraine”.